The users that have the permission to edit questions can allocate a unique ID to any survey question. 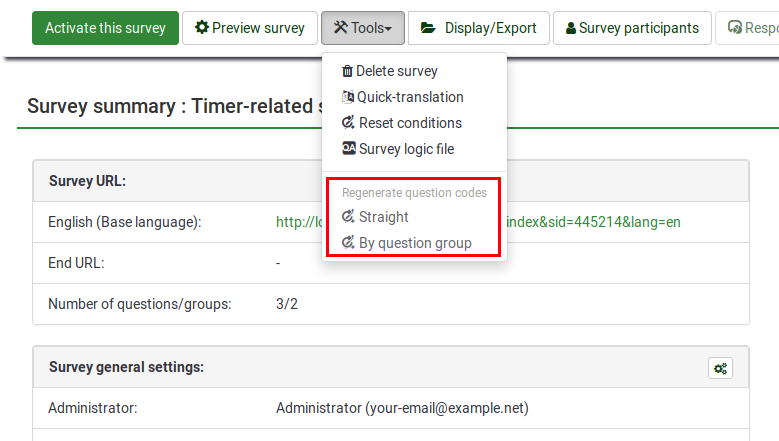 However, if these IDs differ too much (the numbering is too messy), the Regenerate question codes function can be used to automatically rename the survey questions and question groups. This page was last edited on 10 December 2018, at 12:54.